The artificial intelligence of robots capable of learning from their errors and modifying their behavior accordingly is modeled on the activity of neurons in the brain.Emotional stress, traffic accidents, bereavement; these are all factors that can disrupt this neural activity, sometimes to the point of generating suffering that can be difficult to relieve. 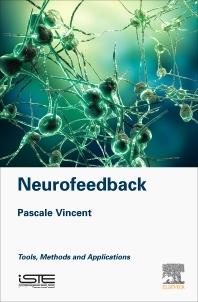 Neurofeedback: Tools, Methods and Applications deals with neurofeedback, explaining the functioning of the tool, its action on the equilibration of neural activity, and the differences between classical and dynamic systems. The results of the author's research and observations, the applications of these two tools, and the effects produced on the patients are explored, along with testimonies that describe and explain concepts in detail.Different neurofeedback tools are presented in this book, together with their function and explicit specificities adapted to the needs of each user. Their applications to psychological and cognitive disorders make neurofeedback an efficient and promising neurotherapy technique.